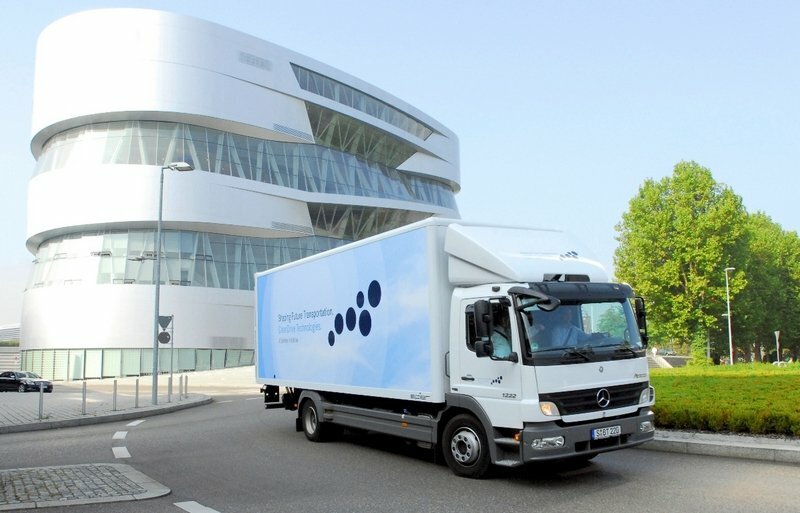 There is a lot of competition in the commercial truck segment and the big manufacturers struggle to make continuous improvements to their products in order to keep them as versatile as possible. 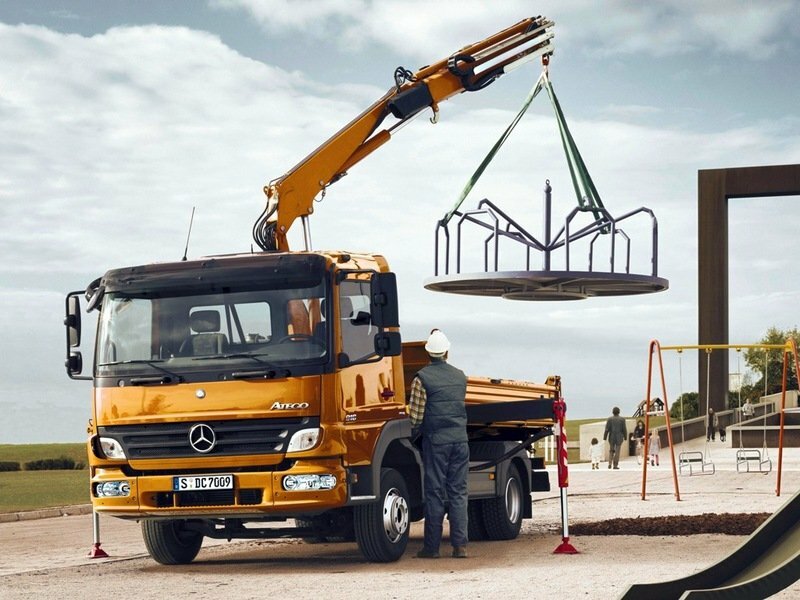 One of the most reliable trucks in this segment is the Mercedes Artego which is available in weights of 7.5-16 tonnes. The Mercedes-Benz Atego range was introduced in 1997. 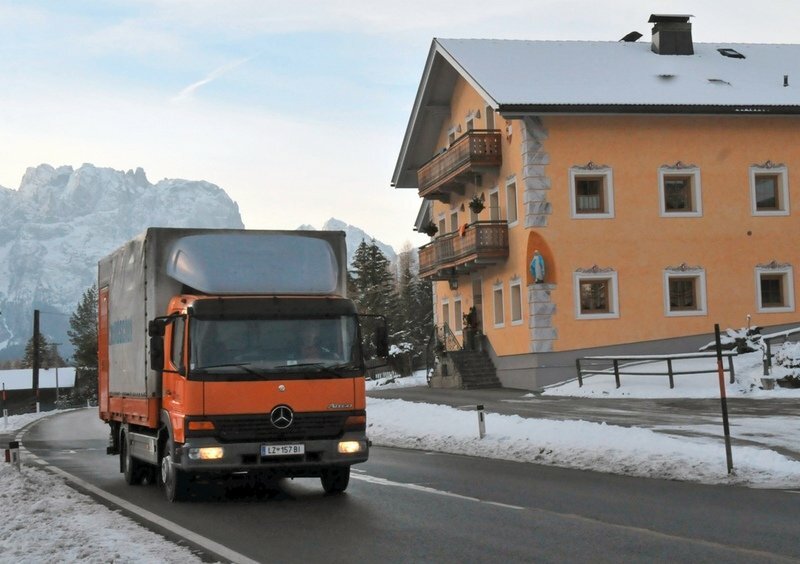 At the beginning all straight-engined rigids built by Mercedes were named Artego, but after the general facelift received in 2005, trucks over 18 tonnes were named Axor. The Atego is available as a three-way tipper, an all-wheel-drive tipper, a skip loader or even a tipper with a mounted crane. There are also four cab configuration for the Artego namely the Day Cab, Extended Day Cab, Low Roof Sleeper and High Roof Sleeper. The Artego features a typical European cab over engine configuration which offers a good maneuverability around city. 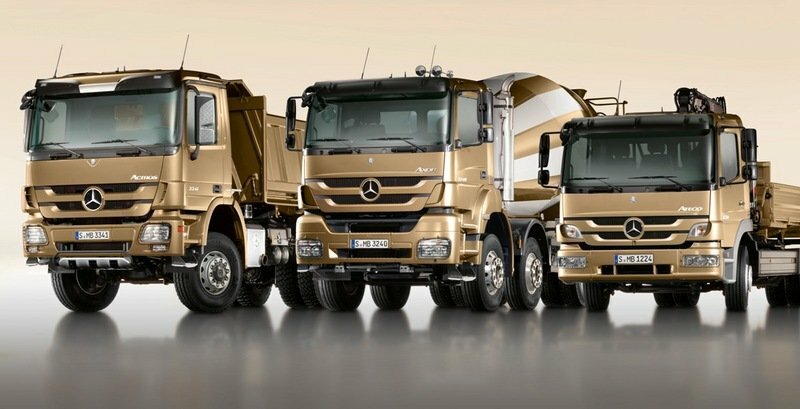 The compact exterior dimensions are also fit for its purpose while the robust look of truck underline its “heavy-worker” character. 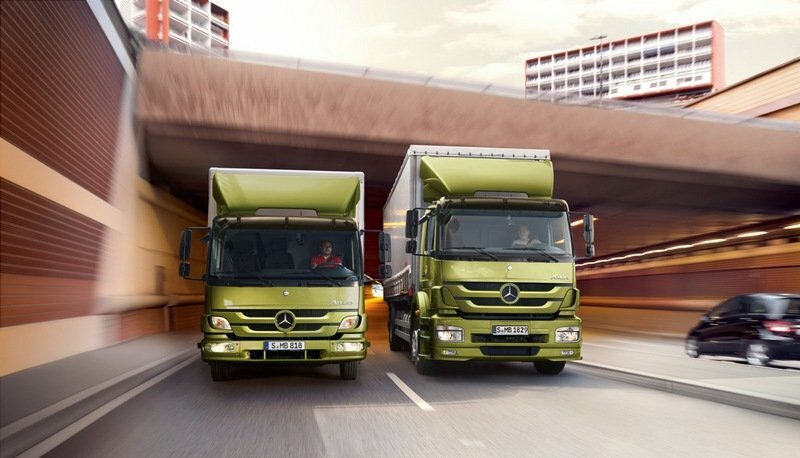 The overall design was inspired by the second generation Actros and features a front-end flap with pronounced, wide ribbing and a V-shaped radiator grille. The petal shaped light clusters look also pretty good, while the continuous air deflectors are mounted on the sides giving the truck a touch of dynamism. The body colored is a bit too simple four our tastes but the thin rectangular lights gel well with the rest of the truck. Thanks to the relatively low ground clearance, access inside the cab is made easy thanks to the well placed steps. The dashboard design is also pretty catchy and is among the best in the segment, featuring a slightly curved shape to facilitate the drives access to controls. Unsurprisingly for this segment, most of the plastics are pretty hard, but compared to other vehicles in the segment the Aretgo’s materials seem to be a bit more refined and pleasant to touch. Moreover, the cockpit can be specified with optional “wood” or “brushed steel” trim which is a rarity in this segment. The instrument cluster is also pretty modern and features chrome rings and two main round analog gauges. There is also a rectangular display which shows different information about the vehicle. If a manual gearshift is specified, a variable, green colored range is incorporated into the rev counter as standard, which helps to save fuel. We also like the illuminated switches for the central locking, electric windows, mirror adjustment and mirror heating which have a logical layout and are easy to reach. As we’ve expected, the seats are part of the high comfort class and depending on the cab version the front row can accommodate up to three people. 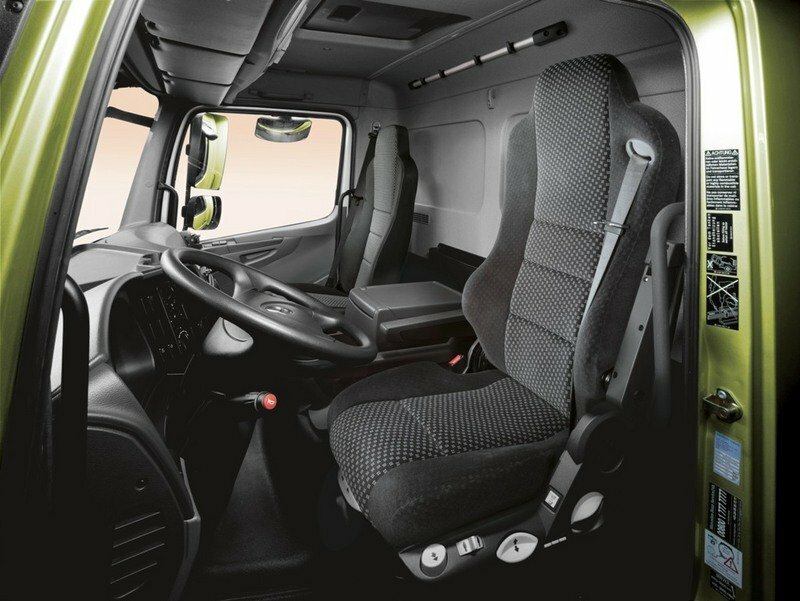 The air-sprung suspended driver seat has an ergonomic design and is available with a lot of adjustments including lumbar support and lateral contour, hence offering a good driving position and a nice view of the road. A revised mirror system with the units positioned 50 millimetres further outwards, improves considerably the visibility to the rear, compared with the old Artego. To enhance comfort, the multifunctional steering wheel is pneumatically adjustable for height and reach and It is fitted with a bunch of controls for radio, telephone and the driver information system. Needless to say, that the cab features a large number of practical stowage places. Besides the generosu door pockets and glove boxes there are a few cubby holes above the windscreen for a radio, CB radio or "FleetBoard". 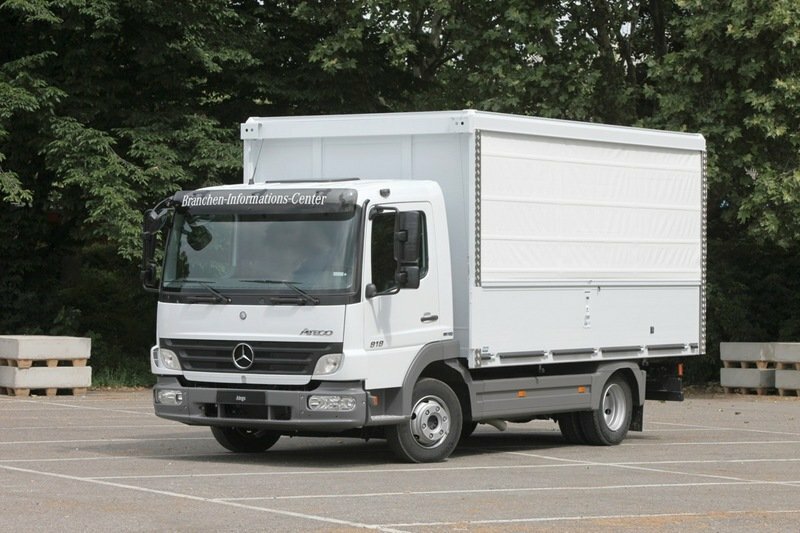 The truck can be also fitted with an optional refrigerator with a capacity of 23 litres, which can maintain a continuously variable cooling range between +10°C and –18°C, and offers space for four upright 1.5-litre bottles. The sleeper cab comes with a bottom bed and a single-piece spring-core mattress as standard. For an extra buck you can also fit the high roof sleeper cabin with a top bed. Both beds are pretty comfortable and they are also very practical as their slatted frame can be adjusted according to your wishes. The new Atego is available with three engine options. The four-cylinder engines are the most efficient units in the lineup and develop between 150-177 hp with maximum torques range of 580 - 675 Nm. The six-cylinder units have a 6.37 litres displacement and develop either 231 hp or 279 hp with torque figures of 810 and 1100 Nm respectively. The engine lineup is completed by an enlarged version of the four-cylinder unit, with a displacement of 4.80 l. This unit develops 218 hp @ 2200 rpm and has a maximum torque of 810 Nm achieved from 1200 to 1600 rpm. The engines can be bolted to a nine-speed manual Mercedes-Benz transmission which is among the best in class, being able to keep the engines in check and to offer a sharp response in most of the situations. The manual gearbox features hydraulic and pneumatic servo assistance which help the driver to change gears with ease. Besides the standard gearbox the truck can be also fitted with ZF manual transmissions which are designed for special applications. 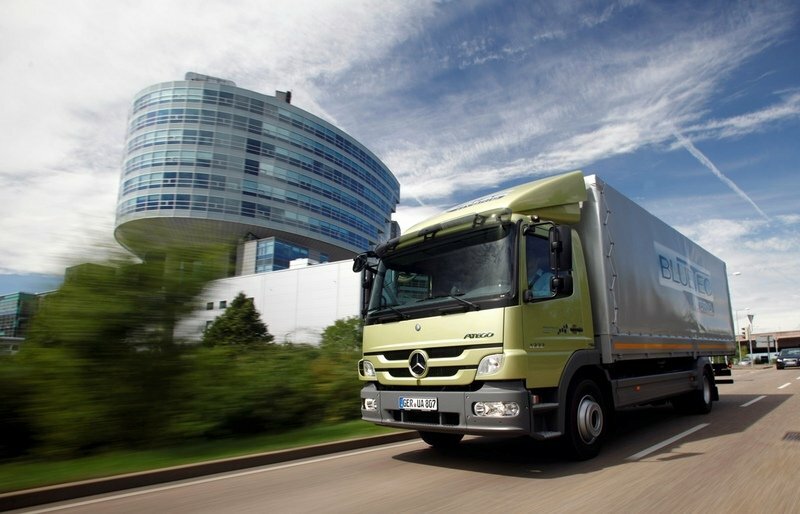 The Mercedes Artego was also the first truck in its segment to be fitted with an automated gearbox. The Telligent is available for engines with a maximum output of up to 230 hp. 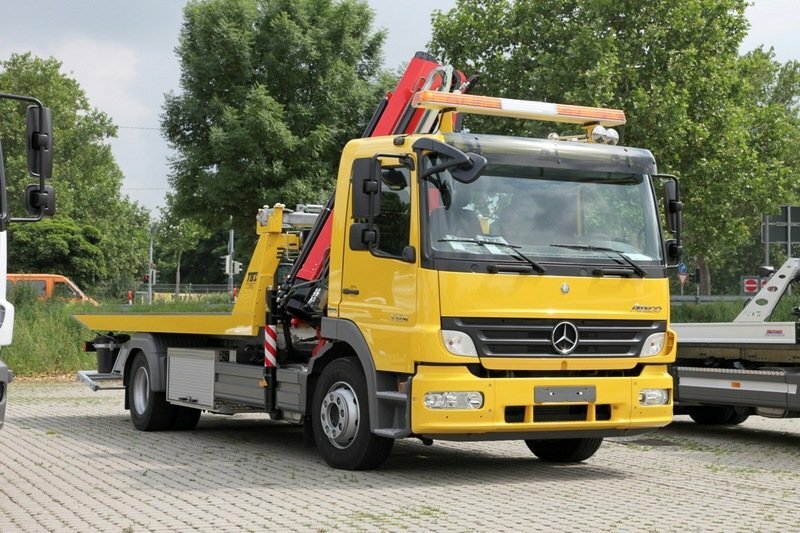 This system was borrowed from the Mercedes Actros and combines the automated six-speed transmission with a fully automatic friction clutch and extensive control electronics. Thanks to this configuration the truck has a better fuel consumption and is much easier to drive. 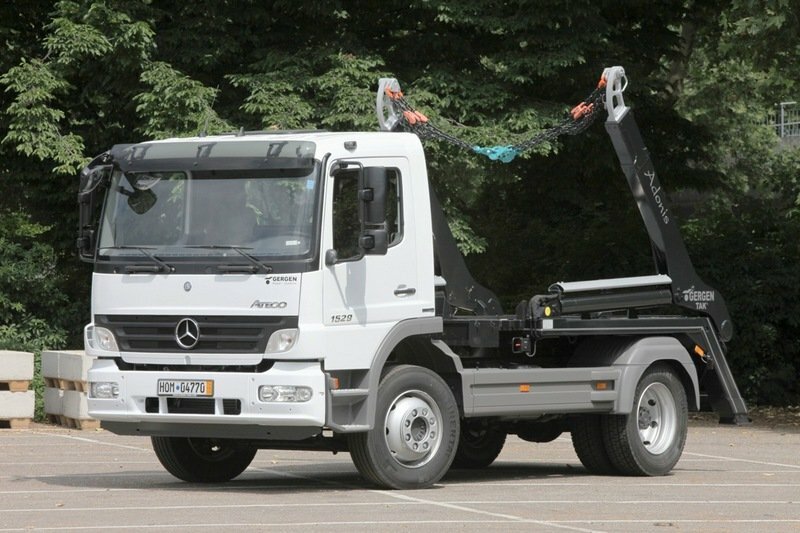 Lastly, the Mercedes-Benz Atego is also available with an electronically controlled Allison automatic transmission with five or six gears, a hydro-dynamic torque converter and a torque converter lockup clutch for special applications. 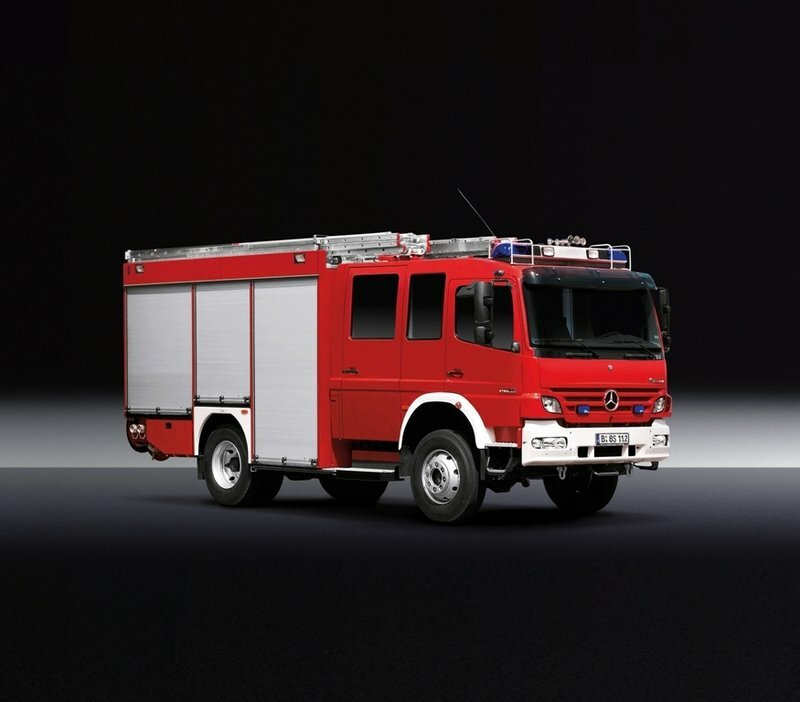 The Mercedes Artego can be equipped with steel, steel/air or full air suspension. The standard model is offered with parabolic springs featuring maintenance-free rubber molecular bearings. This configuration may not be the most comfortable for the driver, but gives the truck a good road stability. For more comfort, there is available the combination of steel-sprung suspension at the front and air-sprung at the rear, or the full air suspension with wishbone on the rear axle (available for models from 12 t upwards). The air suspension offers a significantly improved ride and also good load stability. Moreover, the wishbone that forms part of the rear suspension absorbs the body’s rolling movements, which is translated in a substantial improvement of the handling. You can also rely with confidence on the all-round disc brakes which are combined with a dual-circuit compressed air system for better performances. 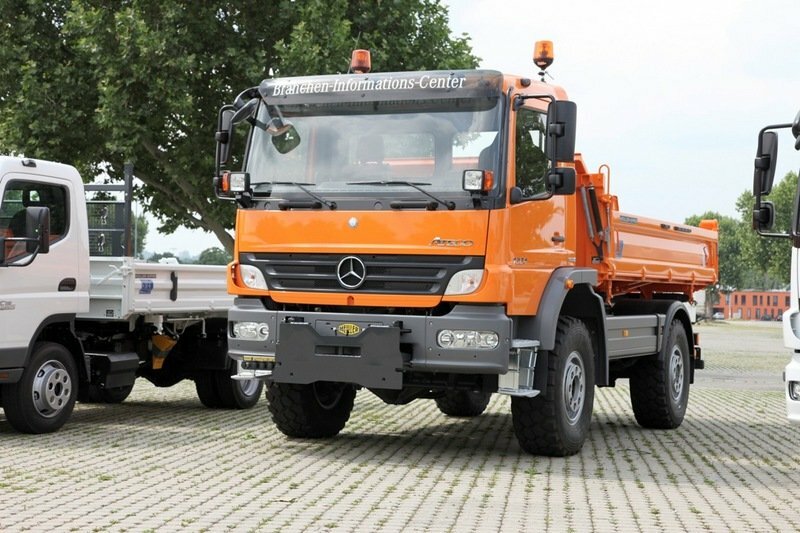 However, the all-wheel-drive models come with drum brakes all round, minimizing the risk of soiling at the rear axle, while the tipper models are fitted with disc brakes at the front and drum brakes on the rear wheels. The Mercedes Benz Artego is strongly build and offers one of the most generous warranties in the segment. The engines are also pretty efficient and reliable, while the truck is available with a wide choice of transmissions and cabs making it suited for a wide range of purposes. The Artego also features one of the best designed cabins in the segment while the fit and finish is also top notch. It’s only issue remains the price which is a bit too high compared to its rivals, but the good part is that it truly deserves every penny.